Still dwelling very much in the eternal underground is Vardan, a one-man black metal assault from Italy that came to life in 1997; however the first release of this solo project wasn't until 2004. 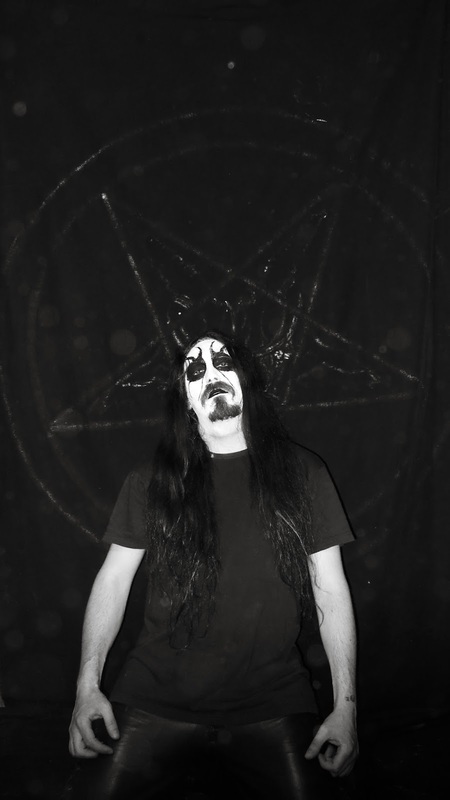 The themes of Vardan range from satanism to isolation and depression throughout his six album discography, and apparently the albums are highly coveted in the cult underground. Little is known about the project, so just step through the blizzard and allow yourself to become lost in what memorizing passages may be held in The Woods Is My Coffin, the sixth and latest release from Vardan. It's cold here in Canada. So cold that last night the icy northern wind nearly froze my lungs and caused me to choke after walking for a mere three minutes; I guess you would say that in -42F weather there is more to worry about than frostbitten cheeks and fingers. The Woods Is My Coffin reminds me of that night in both album cover and title, making it the perfect first review of 2014. If I collapse among the dead trees, into the fallen snow that hides thick layers of ice, this cover will be the last image to graze my conscious thoughts. But what about sound? What lurks under this album cover is not exactly what one would expect when approaching material by an artist so well known for releasing depressive suicidal black metal content. If this review was based off of how depressing the content is claimed to be, the score would be very low. The material doesn't cause the listener to feel depressed in the slightest, although the feeling of desolation runs prevalent through the five tracks presented. The atmosphere is as cold and chilling as the arctic wind, and as bleak as the nights spent there; this ambiance is instilled by the generally slow tempo of the song compositions. Slightly clean discordant picking overlays anamorphic tremolo riffs while a steady backing drum pattern lines the background like a clock ticking away the seconds to your life. The bass guitar mostly sits on the D and G strings which contrasts both the muffled thump of the bass drum and the low power chords and picking of the guitar. While the content doesn't evolve drastically, there are a variety of riffs and compositions incorporated into the five tracks. 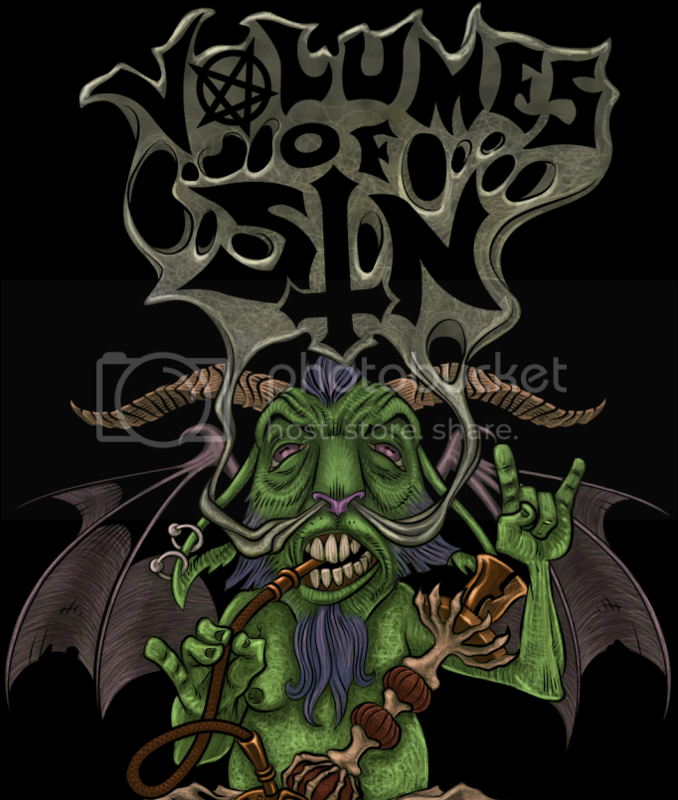 "Night of the Horned Rebirth" is a multifarious track that has one of the most attention grabbing tremolo riff sections in recent memory, more distinctly at the end of the song where the picking is fast but the fret changes are slow and the drums rest at a moderate hi-hat/bass kick pattern. The guitar in this section is also extremely familiar in both tone and style to the bridges in Amon Amarth's "Doom Over Dead Man" but done in tremolo picking. But nevertheless, it's ear catching and well presented. 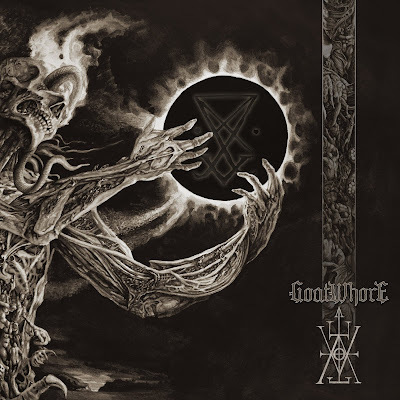 The encompassing production quality of the album is decidedly poor, which is typical for most black metal, however it isn't so bad that the guitar comes off as a frenzy of static and chaos while everything else thumps in the background. All elements presented are well defined, the guitar has a moderate echo to it while taking on a gritty, obscured tone and the bass is very woody and light. The drums are quiet and pushed far into the background and the bass drum sounds like it has a pillow stuffed inside it, granting this quality could also be caused by the muffle of an overabundant bass filter. It's very hard to give The Woods Is My Coffin a rating, on one hand Vardan and Moribund Records proclaim that this album is supposed to be depressive and melancholic but yet it is quite the opposite. 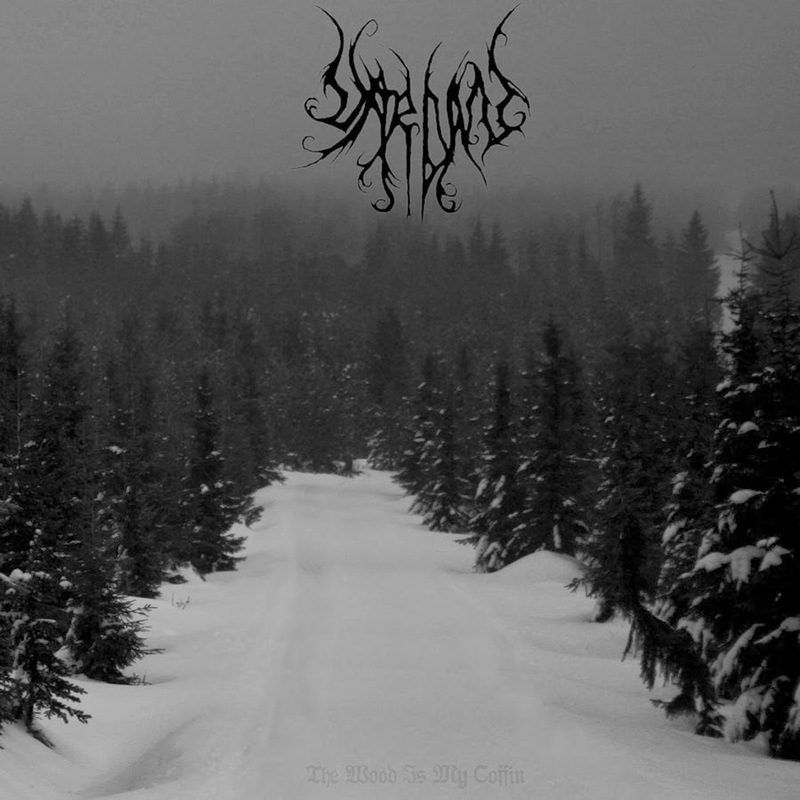 If the rating were aimed at what this album projects itself as then it would be rather low, so if you're looking for truly suicidal and depressive black metal it is best to look elsewhere. On the other hand, what the album actually sounds like and is made up of is rather impressive and enjoyable. While the atmosphere is frigid and gloomy there is an air of hope that lies within the acoustic picking which lightens the mood of the content to a somewhat summer black metal type. Depression and suicide are void in this material, but satanic themes run rampant. You can pick up your copy on CD here.